Padre Island Rentals, with over 35 years of experience, is your full service, 24 hour, Vacation Rental Management Company. We manage your South Padre Island investment – and send you a check. Our detailed full service management program is unmatched on South Padre Island. Contact us for a full evaluation of the income potential of your South Padre Island investment/vacation property. If you are considering buying a property we can give you the keys to purchasing the right property for maximum rental income. Padre Island Rentals 24-hour front desk and reservations is always available for potential guest to call. Phone calls are not ignored any time of day or night, there is no answering service after hours or only an emergency line, we have a Vacation Planner at our front desk to assist callers and guest any time of day or night. Our website, www.pirentals.com, is one of the best ranking sites for rentals, condos and houses for South Padre Island with instant full quotes and booking capability. We have invested in our management software and can offer instant booking not only from www.pirentals.com but also, www.homeaway.com, www.vrbo.com, www.tripadvisor.com, www.airbnb.com, www.hotels.com, www.expedia.com, and more to come. We don’t just generate income for you, we protect and service your property. 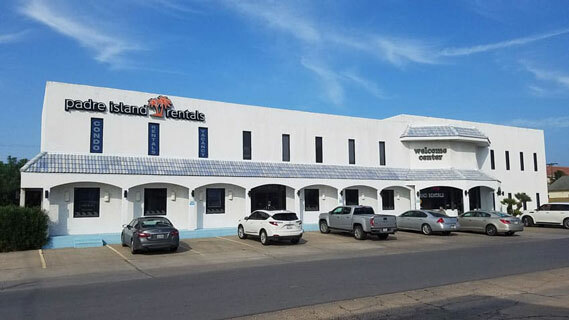 Padre Island Rentals in-house Maintenance and Housekeeping Departments know your investment is important and we want to make sure to protect it for you. We do not outsource housekeeping, our housekeepers become familiar with your property and are personally invested in the upkeep and presentation of your condo or home. When issues come up our fully staffed maintenance department can handle all issues from burnt out light bulbs to replacing A/C units. Padre Island Rentals is your full service Property Management Company. We are happy to answer any questions you may have about our services. You can contact our Management team at 1-800-926-6926 or fill out our Management Service form, we look forward to partnering with you.